Description of decorations: These unique species (Pungitius sinensis) live in Korea and Japan. In Korea, they are represented only in the river that flows into the East Sea (Japan Sea). Stones and aquatic plants have been harvested from their habitat. 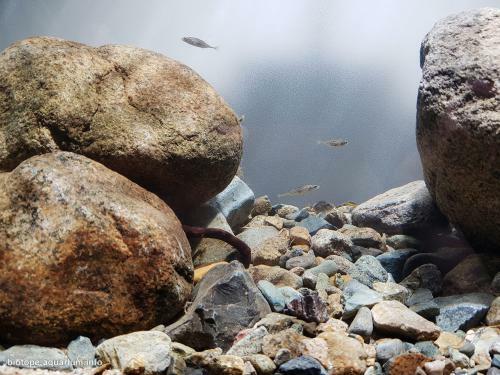 I made my layout with accordance of their natural habitat. 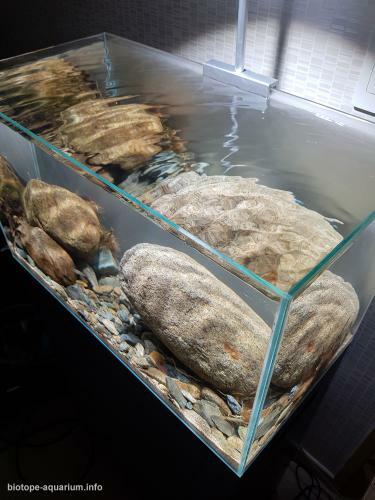 Description of equipment: EHEIM 2211 filter (substratpro, sponge), LOZ 60w, LED, EHEIM heater 100W. Water parameters: Water temperature 23, pH 7.0, TDS 170. Description of the area surrounding the biotope: This river in Ulsan Metropolitan City. It has various depths ranging from 50 cm to 3 m. There are many types of landforms such as a sandy terrain in a gravel area there also grow a lot of different plants. The river flows through the city, so many people can have a rest near it. 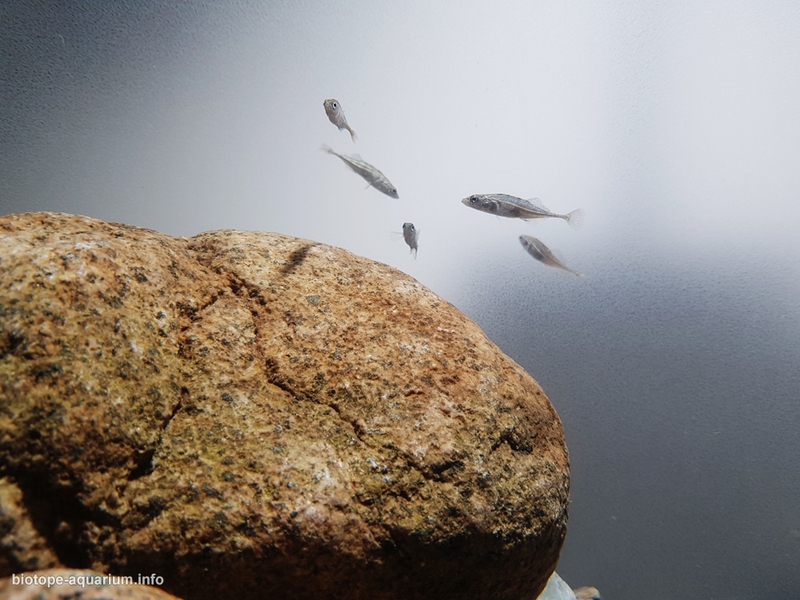 Description of the underwater landscape of the biotope: These fish (Pungitius sinensis) live in the middle part of a stream between stones and water plants. 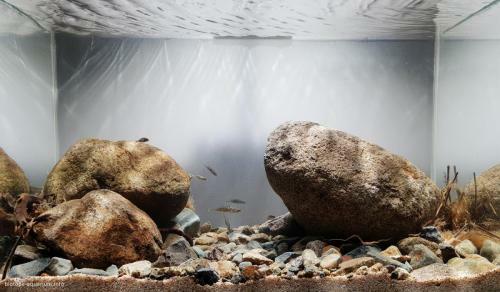 Description of the parameters of the habitat: Water temperature varies from 28 degrees in summer to 3 degrees in winter. pH 7.0~8.0. 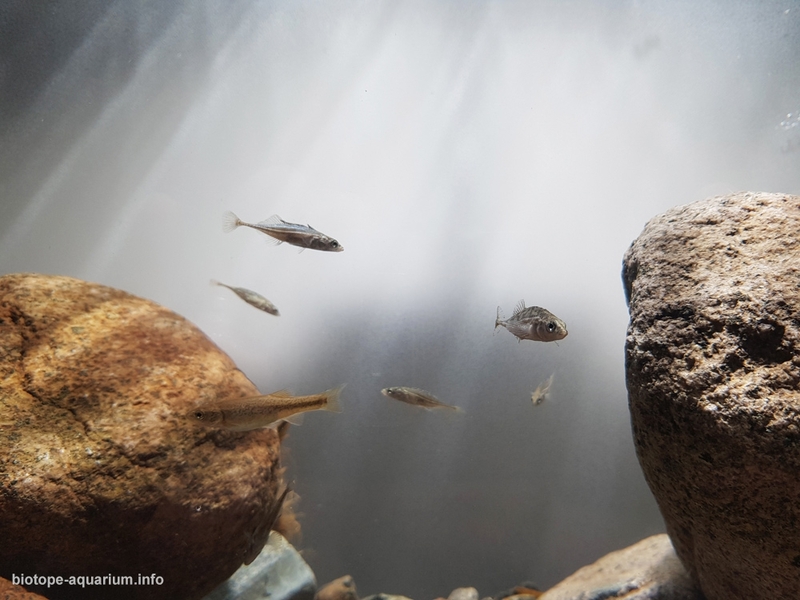 List of fishes and invertebrates occurring in the nature biotope: Squalidus chankaensis tsuchigae, Liobagrus mediadiposalis, Squalidus multimaculatus, Iksookimia longicorpa, Semisulcospira libertina, short ninespine stickleback, chinese minnow, Rhinogobius brunneus, Oncorhynchus keta, Mugil cephalus, Cobitis hankugensis, Zacco platypus, Coreoperca herzi, Opsariichthys uncirostris amurensis, Cyprinus carpio. List of plants found in the nature biotope: Spirodela polyrhiza, Hydrilla verticillata, Persicaria thunbergii, Phragmites japonica, Scirpus fluviatilis. Threats to the ecology: In 1960 in the place where the Taehwa River flows was developed a national industrial complex. A lot of pollution occurred. People tried to revive the Taehwa River and the water now has a 1-2 level of clearance instead of 24, that it used to be. 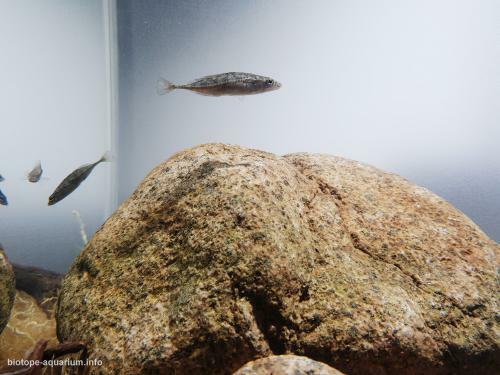 Many fish are returning as the Taehwa River is recovering.